Are you planning to start a small business? 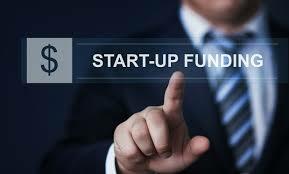 You need an initial investment which acts as the start-up capital. The amount depends on the type and size of business you intend to start. The following tips can help you obtain start-up capital for your business. Put aside some savings from your salary every month so that they can help you rent your business premises and cater for the initial expenses such as the cost of equipment like furniture. You can also borrow some cash from your friends and family to support you with your business idea. These two options are referred to as bootstrapping. If you obtain a small loan from a friend, they may charge you a flexible interest rate which you can pay comfortably without struggling to meet business and personal needs. This method may not apply to business-oriented people looking to open large businesses. Technology has simplified things for business people looking for capital. You can get assistance from sharing your idea on social media. Crowdfunding platforms come in handy when you need support from well-wishers to help you raise capital for your investment. For it to work, you only need to pitch your business idea on such platforms and show the potential for the business to grow. People may pledge and start donating funds when you prove that your business will benefit the community. It is a good way of creating public interest for the sake of business. Make sure you have a solid business idea so that people do not reject it. Angel investors are individuals with substantial capital amounts who are willing to invest their funds on people with good business ideas. Some of them work as a team to scrutinize different business proposals and invest in the best candidate. If you are lucky to get capital from such an investor, you may also receive free mentorship from them. 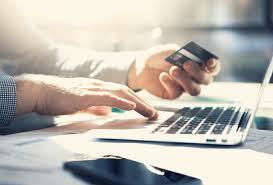 Do you have a good credit score and a solid business plan? You may qualify for a bank loan to start your business. You must ensure that you structure your business plan well to impress the lender. You can get a good amount of capital from the bank within a short period and start earning income as you repay the loan without pressure. One of your valuable assets may, however, act as collateral in case you are not able to make repayments. If your idea is to open a big company, you can consider venture capital funds. Professionals seek companies that have great prospects. After investing in the business, they closely monitor its progress to sustain your business. From their investment, venture capital investors also get huge profits if your business thrives within a short period. The problem with this option is that you may lose control over your business since you give a significant part of it to the investors.